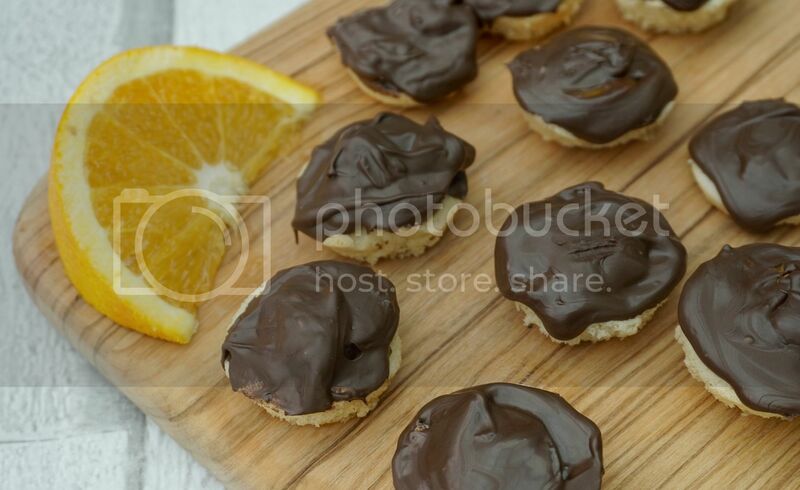 The GBBO is back and week one saw me making these mini jaffa cake bites. As I usually stick to buying Jaffa cakes from McVites, I decided I would stick to this Mary Berry Recipe to make them. However, as I decided I was going to use my mini muffin pan, it made 24 jaffa cake bites rather than 12 jaffa cakes. 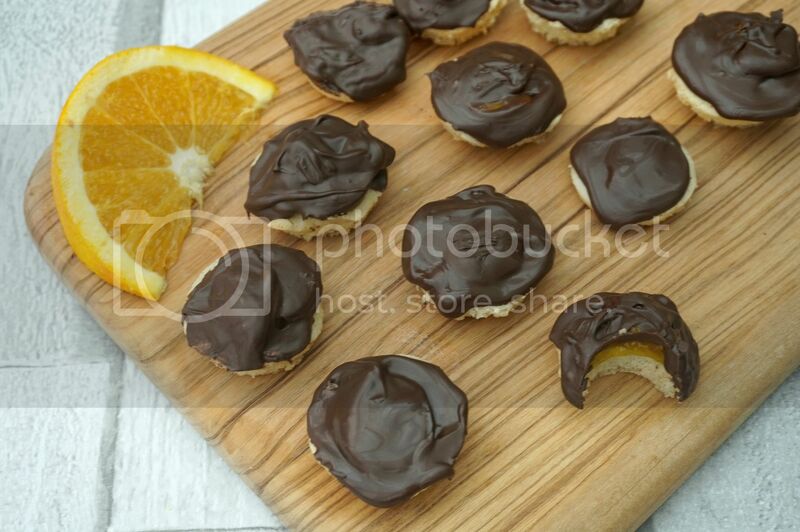 I used plain chocolate cake covering to top my jaffa cake bites. I started by dissovling the jelly in the boiling water, adding the zest and allowing to cool in a large dish. I then made the sponge bases. Here I pre heated the oven to 180C and greased my mini muffin pan with butter. I then whisked the egg and sugar for 3-4mins before folding in the flour. I separated the mixture between the 24 holes and baked for around 10 minutes. 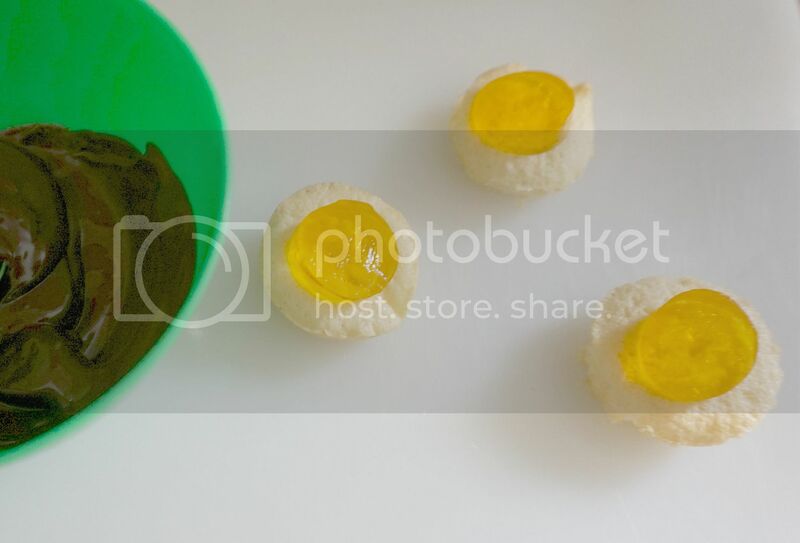 Once cooled topped my sponges with the jelly. I used a fish slice to get the jelly out of the dish and then used a piping nozzle to cut a round disc. Once placed on the sponge I added melted plain chocolate on top. I was pleased with the result but they are a little time consuming to make.